Sun, Sand, Surf – these are the things that you will literally experience if you hit on the best Dominican Republic beaches. 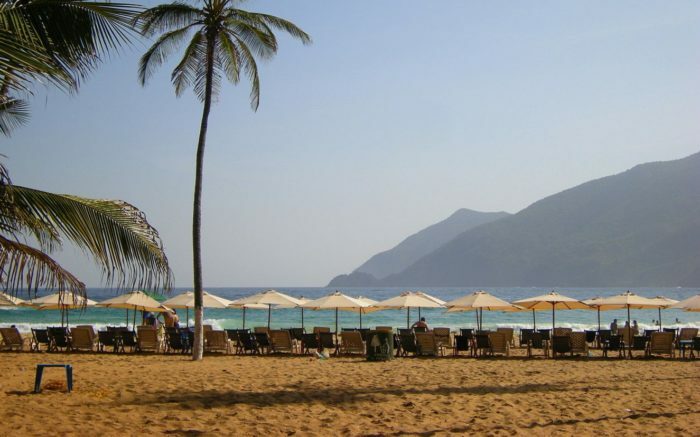 Dominican Republic – a beautiful Caribbean Country occupying the east side of Hispaniola Island and sharing a borderline with Haiti – has been quite popular all around the world over the last few decades as a holiday destination, thanks to its all-inclusive luxury resorts and beautiful beaches! If someone talks about a dreamland of 20 miles awe-inspiring shorefront, lavish hotels, spas, golf and world class dining – you can be sure it’s Punta Cana. 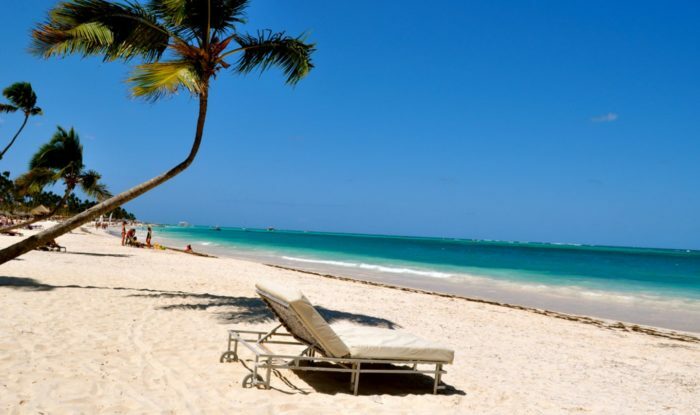 Punta Cana is the most famous beach in the Dominican Republic and attracts two-thirds of visitors coming to the country. It has shown up on any list of top Dominican Republic beaches. The beaches of Punta Cana are just picture-perfect. It boasts of cozy, warm waters with gentle waves that lap at long stretches of white sand. Along with the extravagant resorts and their various offering, you can inebriate yourself here with a zip-line adventure, clap at the tune of old Dominican music at a cultural performance, or search the fairy-like lagoons of the Indigenous Eyes Ecological Park and Reserve. One of the most popular beaches in the Dominican Republic, Playa Boca Chica is located 20 miles east side of the capital Santo Domingo. Being very close beach to the capital, it is always crowded with visitors, food stands, and souvenir shops. 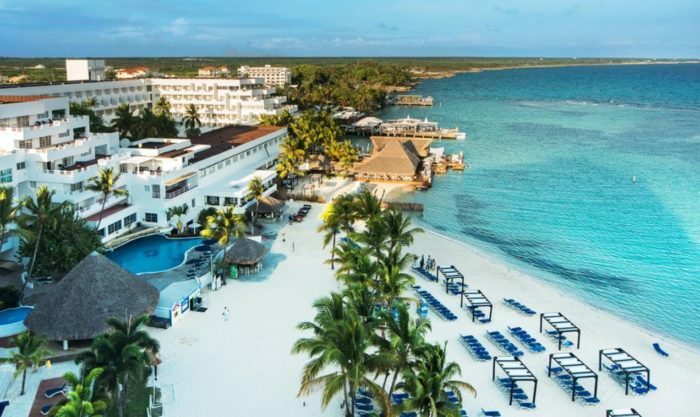 However, that is not going to prevent you from a trip over there as you will definitely enjoy the swim in tranquil water secured by a ¼ mile long coral reef. If you want to chit chat and mingle with the local people and want to know about their custom and culture, this is the best place to do that. 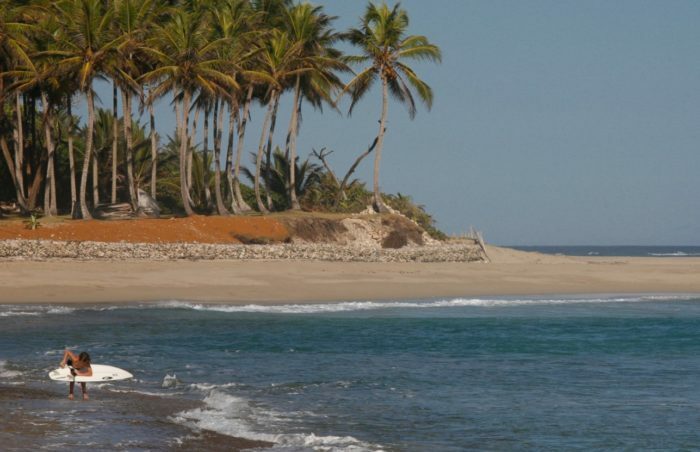 Its wonderful features make it one of the finest Dominican Republic beaches. 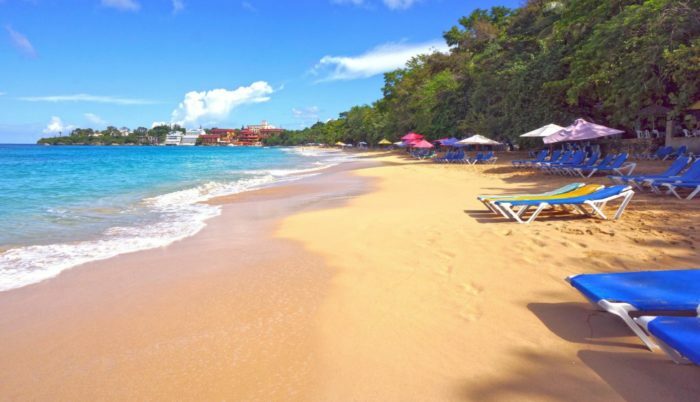 “Wow!” “Best in the Carib!” “Breathtaking!” – They are the words that are likely to come out of your mouth when you will first see Playa Rincon. 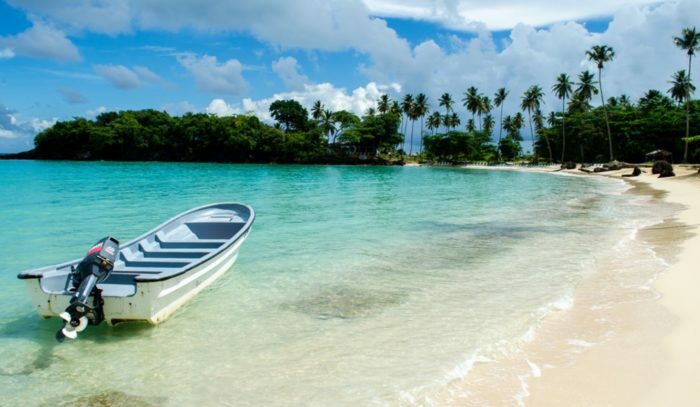 Set on the eastern coast of Samaná Peninsula, Playa Rincon is country’s one of the loveliest stretches of white sand, probably a fallen piece of paradise where the water is cozy, turquoise and perfect for surfing and swimming. Surrounded by cliffs of Cape Cabrón and virgin coconut forest, the landscape is quite stunning. To reach Playa Rincon, you have to hire a boat or a four wheel drive (as the road is a bit jolty) from adjacent Las Galeras. After reaching there, don’t forget to try the snorkeling and grab a bite from nearby small food shops. You are guaranteed to enjoy them. Backed by cliffs and jungle of rainforest trees, Playa Grande is the best place to unbend yourself if you’re craving for privacy. In search of more excitement, you can go on a fishing excursion to capture sailfish or marlin. Don’t worry! If you fail to catch a fish on your trip, there are arrangements for lunch or dinner on the sand with fresh fish at a decent price. Snorkeling, diving, and para-sailing – whatever adventure you prefer in, on or above the water, you can do it here. The World famous Playa Grande Golf Course and luxurious Amanera resort is also located here. Thanks to the underwater park, Playa Sosua is a paradise for snorkelers and divers for calm waters, various sorts of fish and multifaceted reef structures. You may even get to watch the whale horde on their migration road if you visit it during the winter season. The beach is U-shaped, and there are plenty of food and souvenir shacks filled with local food and handicraft items. Adjacent to the Puerto Plata International Airport, this beach town has a notable history: in search of refugee, some Jewish people reached here at the end of the World War II and got settled. A synagogue established by them in the area is still in operation! Due to frequent major waves, Playa Bahoruco is the surfing heaven for professional surfers, though swimmers must take caution as there is a sturdy undercurrent that may lead to an accident. The shore of the beach is covered with tiny white pebbles and offers a breathtaking view which makes it a great place for photographers too. No property has been developed in the adjacent area. As a result, the beach is still an unspoiled natural gem! It is 3 miles long and situated in Barahona, an area on the western side of the country. Located on the southern end and packed with restaurants, bars and high rises to spending your money, Juan Dolio is quite popular among the locals of Santo Domingo who flood the place for relaxation on weekends. 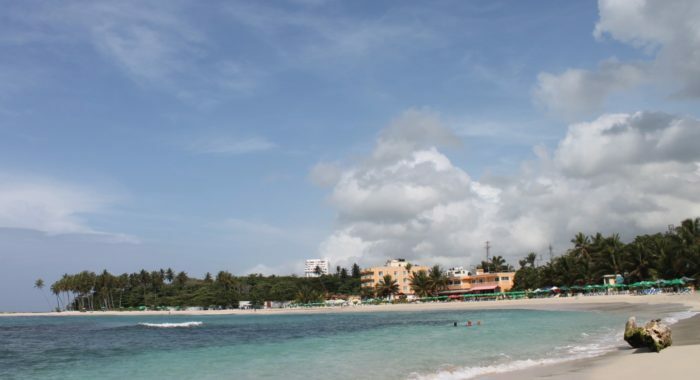 The beach is just one hour away from La Romana and the capital. A few sunken ships have been spotted on the coast which has made it a popular spot for scuba diving too. Coconut trees grow on the sand, sea wave is calm and turquoise. You can take a long, refreshing walk along the waterline to unwind yourself. To enjoy the perfect mix of water, earth and sky as well as unspoiled natural preserve, feel free to visit any of above Dominican Republic beaches. 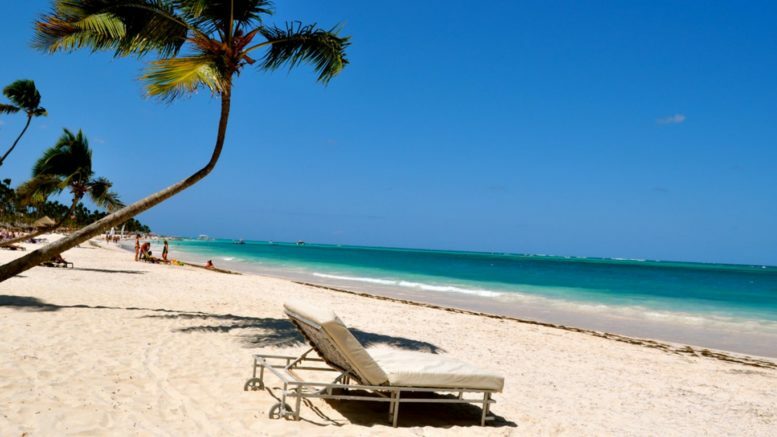 1 Comment on "8 Stunning And Best Dominican Republic Beaches"